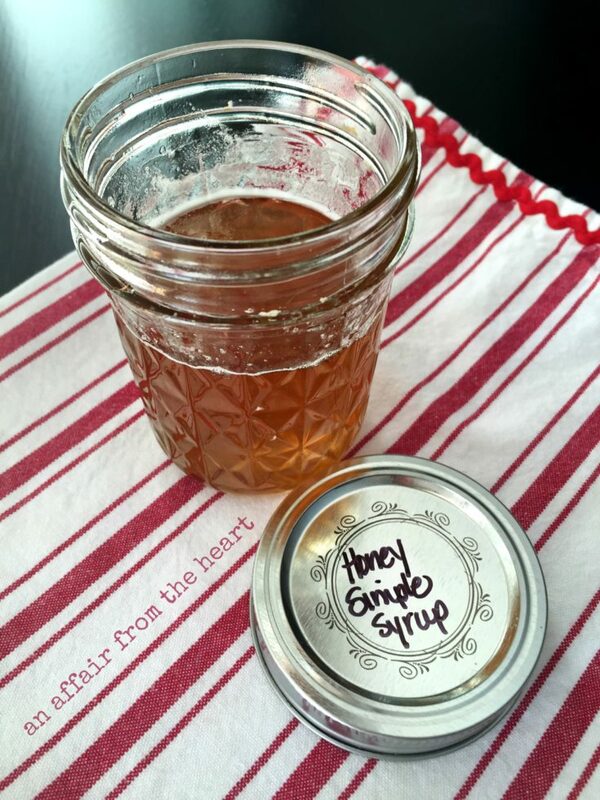 Simple syrup made with honey to perfectly flavor cocktails or a fresh brewed glass of iced tea! Simple syrups are key in many cocktails. Making the sugared syrups with sugar and water, is the most common, but what about if you want a different flavor? One of my favorite things on earth is honey. I was fortunate enough recently to have my Mom share some of the pure raw honey she received from her cousin in California. It’s amazing. I thought what about making a simple syrup from the honey? It would be super yummy in cocktails or even just as a nice sweetener for iced tea. It’s super easy – equal parts honey and water. That’s it. Try it, I bet you love it, too! Boil on the stove until the honey is completely dissolved. Store in an airtight container. Like a mason jar.